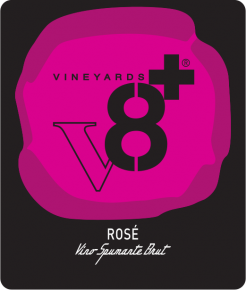 Genagricola’s ‘V8+ Vineyards’ project was born in 2010 as an extension of Tenuta Sant’Anna to offer a line of sparkling wines, all made in the traditional charmat method. The elegant bottle is unusual and attractive. Grapes are rigorously sourced from the Tenuta Sant’Anna property (one of the largest land-owners in the area) and each wine carries the name of a Sior (Sir in the old Venitian dialect), the personification of each product with differenct characters within the Genagricola organization and their attitudes. Rose’ Brut is a refined blend of red grapes vinified as a rosé and submitted to the sparkling process by the Charmat Method. Sior Lele merges into a delicate mix that intrigues with its originality of aromas and flavors. This innovative brut sparkling wine elegantly combines an “edge” with immense smoothness and an ease of drinkability.